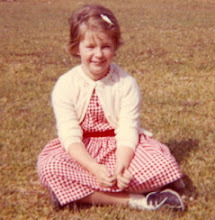 Like the author of Piper Reed Navy Brat, Kimberly Willis Holt, I too was born into a Navy family in Pensacola Florida, or Pepsi-Cola as Piper's younger sister Sam calls it. My dad was a Navy pilot for 20 years, so I experienced what Piper experiences in the book. The Navy tries to move families at the end of the school year. But sometimes, it doesn't work out that way and you move in the middle of a school year. That is the hardest. Piper loves being in a Navy family. She calls her dad "Chief" which is his official rank and she has a wonderful sense of adventure that serves her well as she leaves good friends behind in California to move to Florida. Piper endures days and days in the car with her family as they drive across the country. The stories of who gets to sit where, for how long, and how they entertain themselves in the car is very familiar territory to me. One thing about moving a lot is that you grow very dependent on your family for company and entertainment. Piper's family is very much like my family was - so the story is true to life. The way the author portrays Piper's anxiety about making friends in a new place will be familiar to anyone who has moved to a new city. Piper discovers that one of the best things about moving to Pensacola is that it is the home of the Blue Angels, the highly-trained acrobatic flying team who are goodwill ambassadors for the Navy. I often saw the Blue Angels perform on special occasions at air shows on Navy bases across the country as I was growing up. They are thrilling to watch. When Piper's class goes on a field trip to see the Blue Angels, she gets to meet the pilots - one of whom is a woman. Now that's a lot different than when I grew up. There were women who flew planes, but not in the Navy. I completely understand Piper's desire to become a Blue Angel. Thank heavens, times have changed so that a nine-year-old girl has just as good a chance to become a Blue Angel as a nine-year-old boy. Christine Davenier's pen and ink illustrations perfectly capture Piper's personality in this chapter book. This story was a great trip down memory lane for me as it would be for anyone who lives in a Navy, Army, Air Force or Marine family. It's a different kind of life than most people have, but it is an interesting life. I'm really looking forward to reading this book. A couple years ago Kimberly came to my elementary school in Pensacola and interveiwed a group of kids that are navy brats. I was one of these lucky kids. So I am really looking forward to this book! how fun for you, Maggie. I really liked this book and since you have a personal connection to the story I'm sure that you will too.